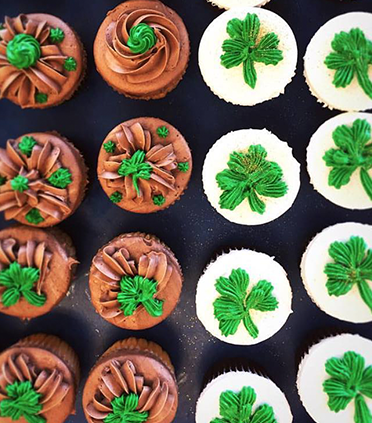 Our cupcakes are sure to be a crowd pleaser! Baked fresh, each delicious cupcake is topped with rich creamy frosting and decorated by hand. Our cupcakes are beautiful and delicious! Decoration can range from a simple buttercream swirl with sprinkles to custom cupcakes decorated in the design and colors of your choice. Prices vary depending on flavor and the complexity of design. Please allow minimum 36 hours notice for custom orders. Our cake decorator is in everyday 9-2pm with the exception of Tuesdays and Sundays. Saturdays are our busiest day so keep in mind that we may not be able to meet with you on that day unless booked in advance. We can accommodate your schedule as long as you request a time and day in advance, please fill out the form below and someone will reach out you to provide a quote. Fill out the form below to request a custom quote.